As of Saturday, your options for owning an unlocked phone become far more limited. You can ask your carrier to unlock it—and good luck with that—or you can pay a premium to manufacturers like Apple or Google for a new unlocked phone. You just can’t unlock your phone yourself—at least, not legally. When Billington made his decision, he also granted a 90-day exemption period in which people could still buy phones that they could later unlock, but only after asking their carrier to do it and getting “no” for an answer. That period ends Saturday. After that, the question of whether or not the smartphone you buy is truly your own gets a little fuzzy. When you unlock your phone you change part of the firmware code in such a way that makes the phone able to connect to more than one wireless provider’s network. You can unlock your phone by plugging it into your computer and using any of the widely available unlocking software downloads. The ban means that you won’t be able to (lawfully) decouple your phone from one carrier and move to another carrier that uses the same cellular technology (GSM, CDMA, etc.) unless your carrier agrees to send you an unlock code. Imagine buying a car equipped with software that prevents you from taking certain roads—and being legally barred from disabling the software! If you’re still in contract, they probably won’t do it (especially if it's an iPhone), so you won’t be able to unlock your phone and connect it to a compatible network overseas. With an unlocked phone, you can visit another country, buy a compatible SIM card at a store on the street, and immediately get phone and web service. Many people now buy used iPhones and other premium smartphones, then sign up for low-cost, no-contract cell service from the likes of Virgin Mobile, Straight Talk, and T-Mobile. That’s because in pre-paid plans you have to either buy a new phone at full retail cost, or buy a used one and bring your own device. And AT&T will unlock your phone after your contract expires; however, by then you’ve already paid the carrier the high monthly rates and phone finance charges for two years. There’s big money at stake here. The CTIA, the association that represents the interests of the large cellular providers, is first on the list to file a legal brief on the matter with the Library of Congress. The 20-page document argues that the owner of the smartphone device is not necessarily the owner of the firmware running on the device, and that altering the firmware is a violation of the copyright owned by the carrier. The majority of the points argued by the CTIA attorneys in the document seem designed to disqualify the arguments of phone unlocking proponents based on legal technicalities. Big carriers like AT&T and Verizon make much more profit on post-paid (contract) plans than they do on pre-paid plans. You need only look at the companies’ quarterly financial statements to see that. The unlocking ban will simply help keep subscribers locked in post-paid plans (reducing “churn”). 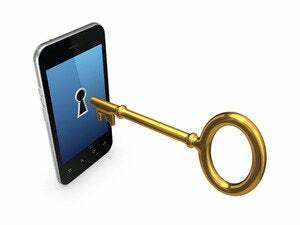 And phone locking is the carriers’ main instrument for keeping people locking in two-year, post-paid contracts. One feature of the marketplace … is the ability of carriers to subsidize handsets and to offer those handsets and their accompanying software to consumers at prices well below the prices that otherwise would need to be charged. Those subsidies depend on ensuring that the handset will be used, as contemplated, with the carrier’s service. But not everybody agrees that that was the intended purpose of the DMCA. “The DMCA was never meant to enforce mobile phone business models, or to preserve incompatible devices more generally, and the Copyright Office should have said so and granted a broad exemption,” says Electronic Freedom Foundation digital rights analyst Rebecca Jeschke. The truth is, the decision to ban unlocking last October took place “in a dark corner of Washington,” as Hays terms it. Tech policy decisions handed down by the courts, the FCC, the FTC or Congress tend to get a lot of attention, but who knew that a decision potentially so important to consumers would emerge from the office of the Congressional Librarian? I’d venture that the decision didn’t pop up on the radars of many people in the tech industry and the media last October, and is taking many by surprise now that the implications of the decision are about to become reality. Hays says the carriers may have worked hard to get an unlocking ban to protect themselves against widespread unlocking and massive “churn” in the (LTE) future. This story, "Phone unlocking ban could hit you in the wallet" was originally published by TechHive.